Most Investors. Is This You? 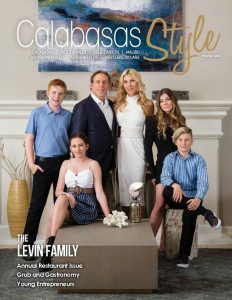 | Calabasas Style Magazine Most Investors. Is This You? Most investors feel secure with relatively steady upward progress in their portfolios and no sudden crashes. Of course, they understand that this yearning sentiment doesn’t mean making money every single year. Rarely does anyone achieve that, not even the investment greats. But for mindful investors, it’s about reducing the swings to a bearable range, which helps to keep emotions in check, regardless of age or experience. It’s when we lose emotional control that we make our worst investment decisions. The emotional heart is most certainly not a better investor than the logical head. The past few months provided a rare short-term stock market roundtrip covering quite a distance in percentage terms. After the S&P500 market index gained almost 10% last year, it then dropped almost 20% from the 2018 high point in September, with a loss of 9.18% in December alone, followed by a positive 7.87% return in January 2019. After a September-through-December plunge and a January and February 2019 surge, investors can be forgiven for feeling whiplash. It is specifically during times of extreme volatility that investors conclude, whether on a conscious or subconscious level, that Wall Street is not for them. If you were among those who sold, the reason was likely due to the perception that the stock market and the economy had been weakening since October and were certainly bound to continue down. Was this feeling because you were bombarded by the subtle partisan bias of the exaggerated, pessimistic, outraged, drama-driven, hypocritic mainstream media, with their perpetual reminders that the bull market was history and that a Wall Street apocalypse was imminent? How often have you made this same behavioral error, listening too closely to the credibility challenged media, especially in this political silly season? How often do you get seduced into listening to the desperate desire-to-be-noticed experts espousing their dubious academic rationale that either directly or indirectly endorses a certain political economic platform? Was the media driving a market correction or were they reporting a correction? This isn’t relevant to a personal financial plan you should be following. Rather, your investment approach should depend objectively on your age, resources, health, deposit rate, withdrawal rate, risk/return profile, investment objectives, and your specific goals as defined in a well-thought-out financial plan. If investors simply keep their view on the long run, with history as their guide, they won’t see all the ups and downs or all the whiplash that can demoralize and provoke their flight from Wall Street. The process of investing inherently involves high points and low points. The views from the peaks are magnificent, the terror of the slide into the valleys, rather traumatic. But when you look back, having arrived at the destination of financial independence, the oscillation that had caused you so much grief can be viewed as an upward line. It’s not easy negotiating that perilous ascent, but it may help knowing that in the end, it really will smooth out if you stick with a long-term plan. Thus, investors must be willing to lose a few battles to win the retirement investment game, to lose a few more gray hairs necessary to win a secure future. Finally, trying to achieve higher returns by timing the market is an impossible endeavor, attempting to find success on a consistent and repeated basis by selling out and buying in again and by foolishly focusing on saving pennies in fees rather than seeing the big picture, the forest from the trees. In the short run, stock market movements are completely random, as random as trying to guess the next card at the blackjack table or predicting what Congress will do next. You are the captain of your own destiny, but you don’t have to go down with the ship when the stock and bond markets hit the inevitable rocks. It’s a logical choice. Simply remain invested in a well-diversified, strategically designed portfolio that fits your personal risk/return profile. MD Wendell Wealth Partners: A preeminent personal wealth enhancement boutique for select clients.